In the world of social media, everything is coming up algorithm. First Twitter announced the introduction of a “catch-up” feed. Now Instagram is jumping aboard the algorithm train. Here’s what the changes mean for marketers. We all knew A-Day was coming for Instagram. The network’s popularity, combined with its famously algorithm-obsessed parentage (ahem, Facebook), the Instagram algorithm introduction was inevitable. After all, Facebook was far ahead of the algorithm curve; it switched to an algorithmic feed way back in 2009. 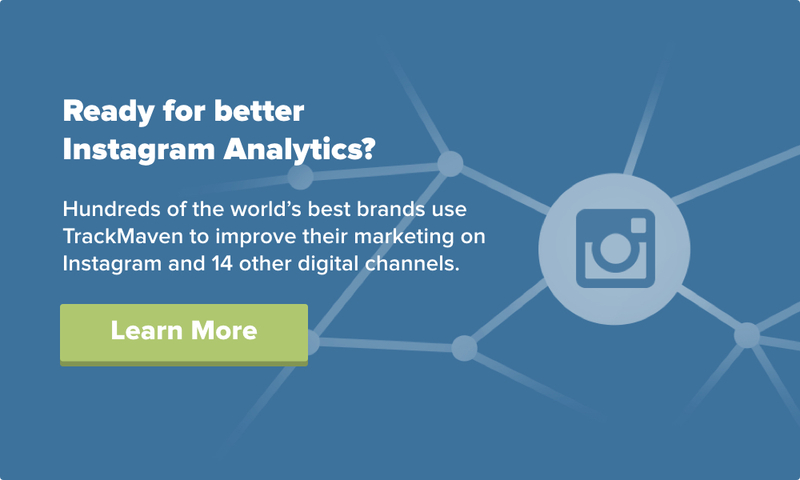 So what does the Instagram algorithm mean for marketers? In short, it means the free lunch on Instagram is over. There’s simply too much competition to cut through the noise. As Instagram has grown up, its engagement levels have started coming back down to earth; the average engagement ratio with brand-generated Instagram videos and pictures dropped 31 percent and 36 percent, respectively, across 2015.
Who wins under the reign of the Instagram algorithm? The short answer: Marketers creating quality content will rise to the top. Consider the playing field leveled for “shotgun Instagramers” posting dozens of photos a day. A brand crafting a few high-quality posts can now outperform a serial low-quality poster. 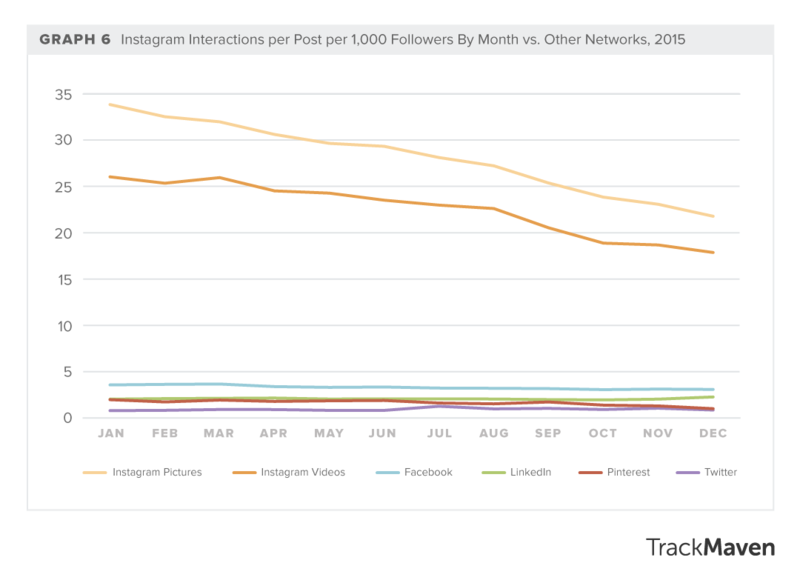 The switch to an algorithmic feed also benefits both Instagram users and Instagram itself. Both of these repercussions are important to marketers, too. An algorithm is by definition a “procedure for solving a mathematical problem.” In the world of social networks, that mathematical problem is simple: there’s too much content and not enough time to see it all. Instagram sports 400 million monthly active users and 80 million new photo uploads a day. For the social networks themselves, providing a richer, more relevant user experience should foster greater user adoption and in-platform interaction. And that means more leverage. Now Instagram can essentially charge brands a cover to get in on the photo-sharing party. Cue the sound of money falling (in the form of ad revenue). In many ways, algorithms are the Grim Reaper of organic reach. But marketers, don’t panic: The news isn’t quite as grim as the Grim Reaper metaphor implies. With a paywall in place, we marketers must now fork over dollars in order to reach the audience we invested blood, sweat, and tears (read: time and resources) to build in the first place. With the sunk cost fallacy rattling in our heads, we dole out our ad budget and start wrestling with measuring our ROI. But here’s where the symbiosis sets in. It’s now on us as marketers to create content worth promoting. We probably won’t (or shouldn’t) throw money behind that tweet the intern Dave thought up at the lunch table. We want our most important messages to reach the right audiences, so we pay to target our content accordingly. 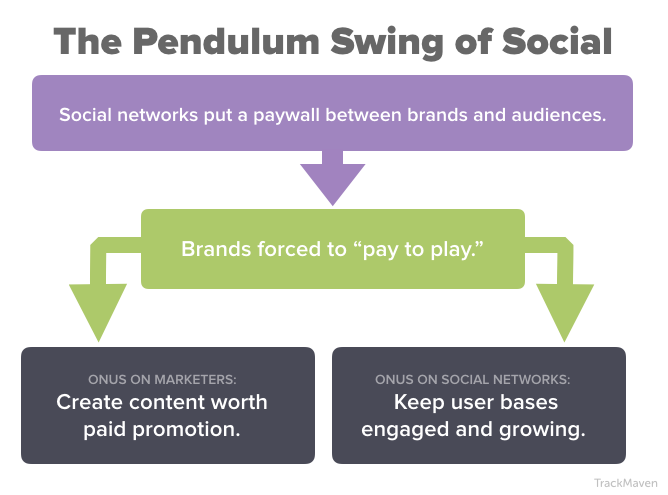 As much as we bemoan the loss of organic reach, when we pay to play the scales actually tip to our advantage. Because by forcing us to pay to play, the social networks are on the hook to stay relevant and deliver value. Remember, it’s all about checks and balances: if we’re forced to pay to get our content seen, it better be worth our while. If Instagram, or Twitter, or any other social networks change so much that they alienate their user bases, that network will quickly become a marketing ghost town. Brands won’t throw ad dollars at a network that isn’t interesting anymore. As the Instagram algorithm rolls out (which it will do in “single-digit” percentages), watch these metrics: ad revenue (especially mobile ad revenue) and monthly active users (MAUs). Algorithms and soaring ad revenue may well be the Grim Reaper of organic reach, but healthy growth in MAUs signals a network’s relevance. Which Universities Get a Perfect Score on Instagram?